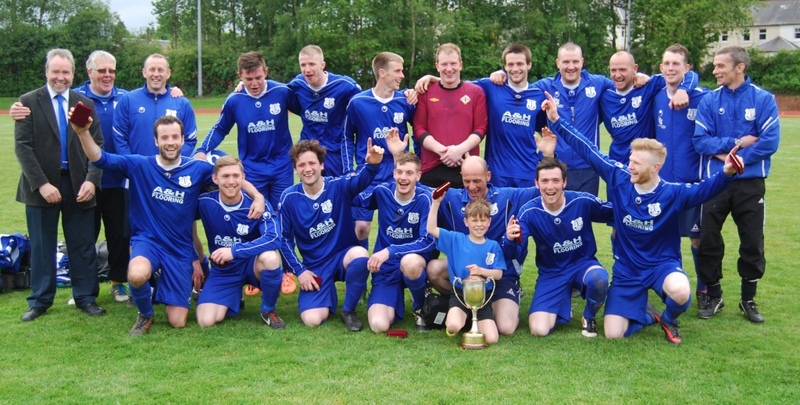 After waiting for more than 35years for a bit of silverware Terregles Athletic lifted their second cup in as many weeks on Saturday when they defeated league champions Lochmaben 3-2 in the Lochar Inn sponsored Burns Cup final. 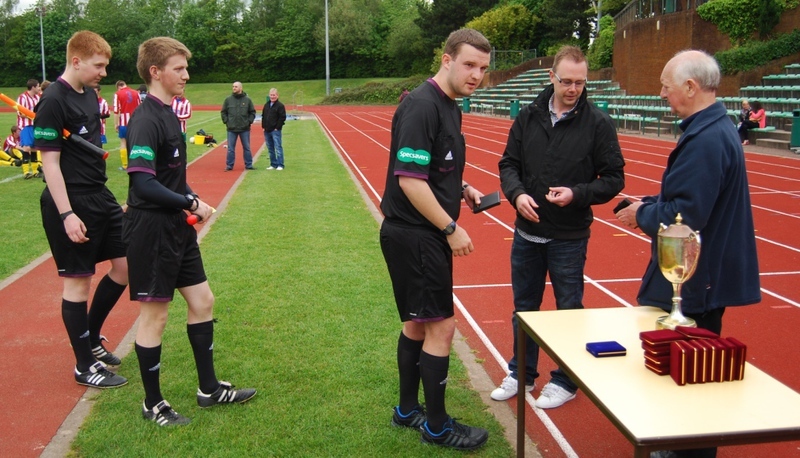 This was perhaps a fitting end in what was the final game played in the 60th and final season of the Dumfries and District Amateur Football League. 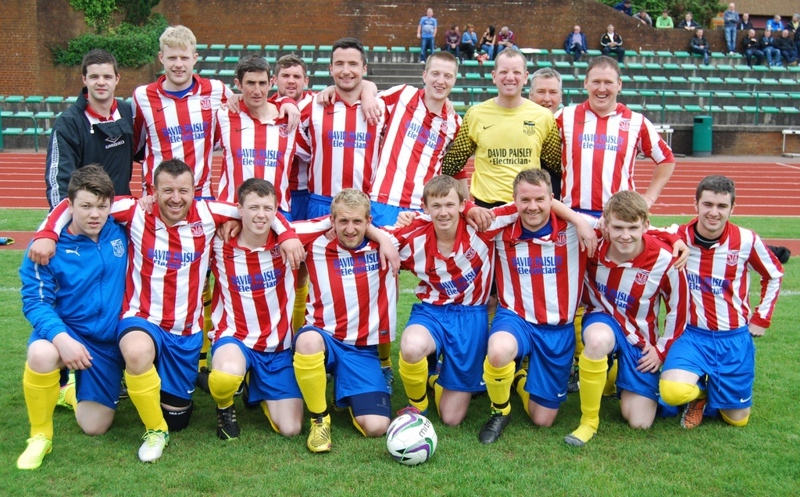 Terregles made it two cup victories out of two against a Lochmaben side who in previous seasons have been virtually unbeatable in finals. 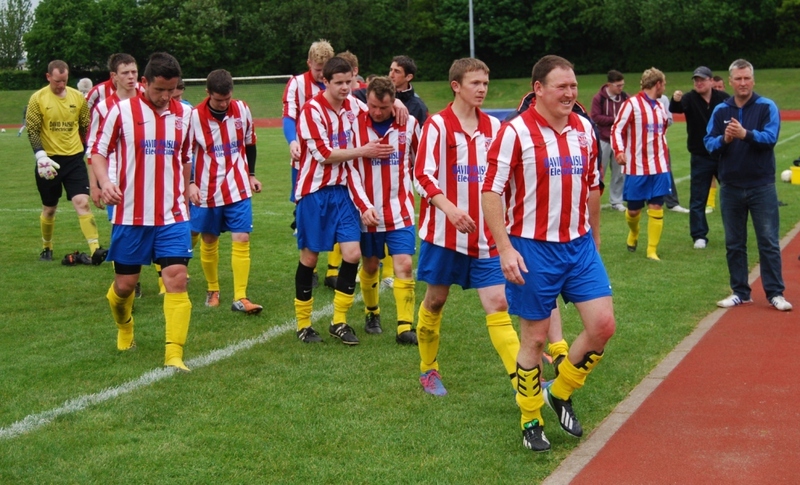 This was their 4th cup final loss of the season after winning fourteen on the run prior to this season. However, the Burgh side did lift the Queen of the South Cup on Thursday night at Palmerston, which perhaps had a bearing on the outcome this game. It was Lochmaben who had the better of the early exchanges and they pressed Terregles back for the first quarter of an hour without really threatening. Gradually Terregles got their game on track and the pace of their front line caused problems for the unusually lacklustre Lochmaben defence. The opening goal came in the 16th minute when Stevie Green’s run was not tracked and his square ball was met by Paul McCann who made no mistake from 8 yards out. Lochmaben drew level from the penalty spot 10 minutes later. A cross from the left by Shane Watson was headed goalwards by Dougie McRobert who saw his attempt come back off the post. Levi Carrick was first to the loose ball but was fouled before he could shoot and the referee awarded a penalty. Craig Irving made no mistake from the spot. Terregles responded several minutes later, a throw in down the left found Stevie Green just inside the box who controlled the ball, turned his marker then fired past keeper Craig Scobie to restore their lead. 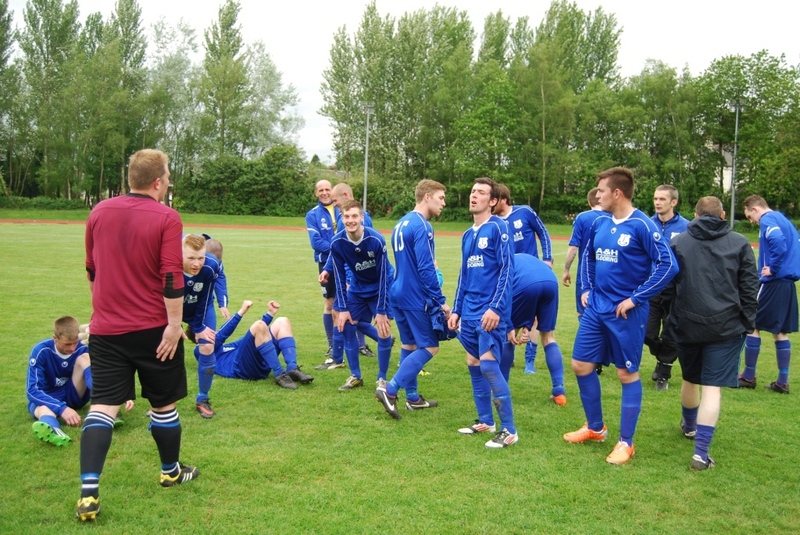 Things were to get much better for Terregles five minutes later when they themselves were awarded a penalty. Shaun Kirk sent the keeper the wrong way from the spot after he had been fouled by a clumsy challenge. The second half was all Lochmben with Terregles content to sit back and counter attack when the opportunity arose. Their defence held firm with John Howie and Sandy Kennedy both taking turns to nip each attack in the bud. 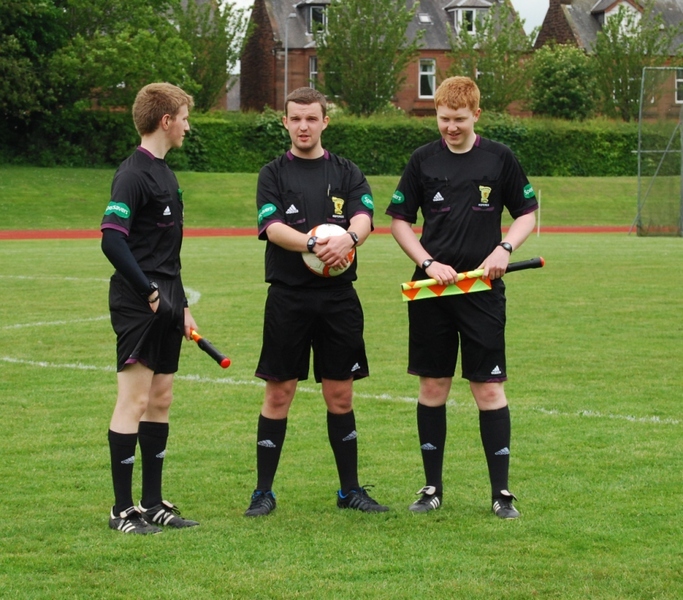 Just when Lochmaben looked to be running out of ideas they got themselves back into the game when they were awarded another penalty. A long thow from Gavin Smith found Dougie McRobert who turned and fired towards goal. His shot struck the elbow of a defender and the referee awarded the penalty. 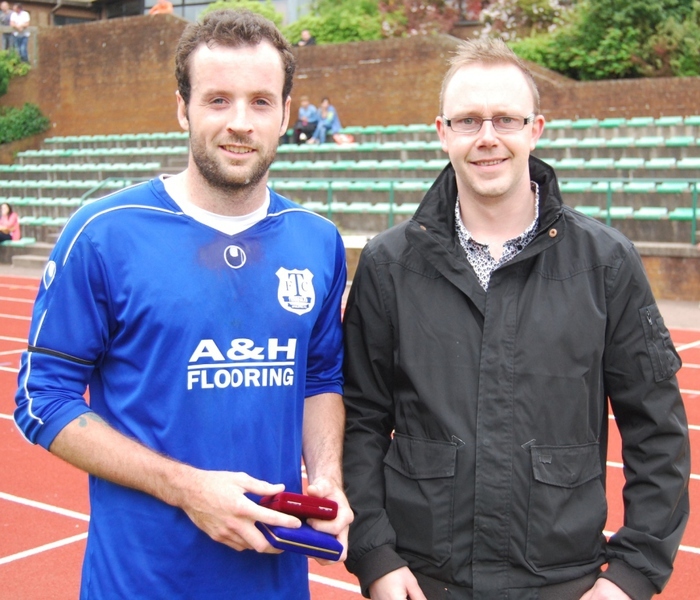 Laurie Maxwell took over penalty duties from the substituted Craig Irving and made no mistake to make it 3-2. Terregles nearly extended their lead not long afterwards when Martin Milne found space in the box but his scooped shot went just over the bar. 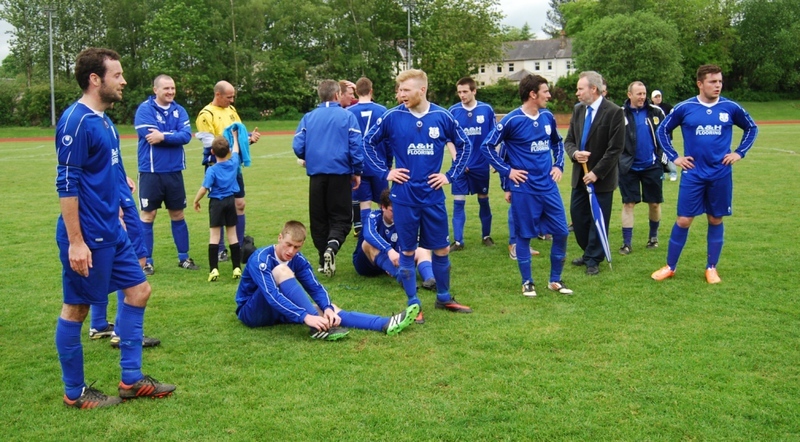 With the clock ticking down Lochmaben had a golden chance to score the equaliser and take the game to extra time when they were awarded their third penalty of the game. Laurie Maxwell who had successfully scored from the spot earlier in the half stepped up but his attempt was at just the right height for keeper Paul Haistings who parried the ball away out of harm, much to the relief of the Terregles team. There were no further chances and the final whistle came just a few minutes later. 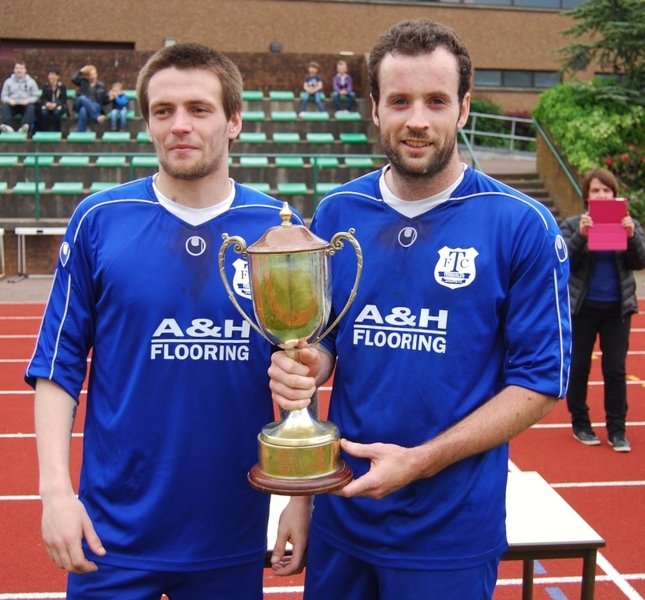 Captain John Howie and Martin Milne stepped up to receive the cup from sponsor’s son Barry Smith. 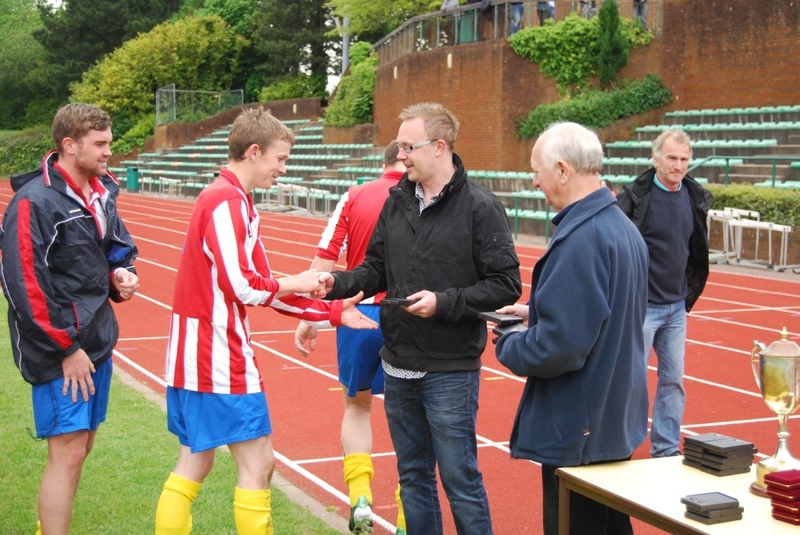 John made it a double when he also lifted the man of the match award.